The Verdict: The midsize mallets made famous by Jason Day (red) and then Dustin Johnson (black) are all about stability. 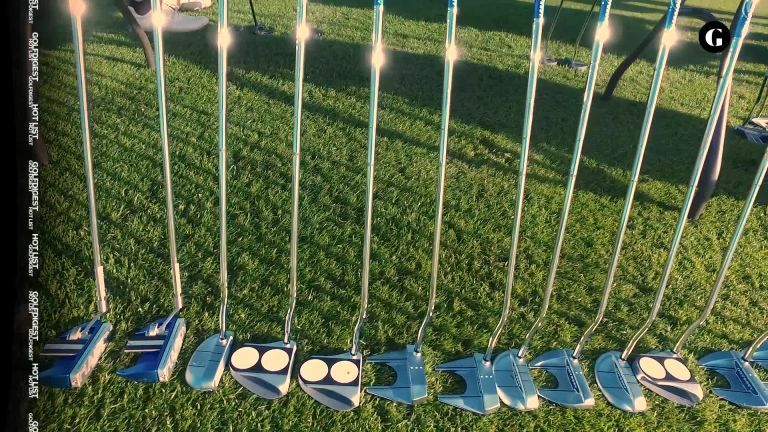 The putterhead has 13 pieces, including a heavy steel frame that bolsters the hollow aluminum body. There are two roll-enhancing insert options: Surlyn for a softer feel and milled aluminum for a sharper click. This one is really stable, and the red fins remind me of a classic car. I liked that it has good pop off the face but with that understated crisp-contact sound. Loved the tapered grip. It fit well in the grooves of my hand. Well balanced and was able to move it as one piece. I felt like I had great control on short putts.